0.49 Susan Naomi Bernstein Ann E. Green Cecilia Ready, Off the Radar Screen: Gender Adjuncting and Teaching Institutions, College Composition and Communication, 2001. 0.45 Michael Murphy, On Buying out and Having to, College Composition and Communication, 2001. 0.44 Marianna Torgovnick, How to Handle an Adjunct, College Composition and Communication, 1982. 0.41 Carrie Leverenz, Tenure and Promotion in Rhetoric and Composition, College Composition and Communication, 2000. 0.41 Joseph Harris John Lovas, CCCC and MLA Renew Discussions on Staffing Introductory Courses, College Composition and Communication, 2000. 0.41 CCCC Executive Committee, Statement of Principles and Standards for the Postsecondary Teaching of Writing, College Composition and Communication, 1989. 0.40 Michael Murphy, Just Which "Few People" Anyway? A Response to Marc Bousquet, JAC, 2004. 0.40 Myron C. Tuman, Unfinished Business: Coming to Terms with the Wyoming Resolution, College Composition and Communication, 1991. 0.39 James Papp, Gleaning in Academe: Personal Decisions for Adjuncts and Graduate Students, College English, 2002. 0.38 Michael Murphy, New Faculty for a New University: Toward a Full-Time Teaching-Intensive Faculty Track in Composition, College Composition and Communication, 2000. 0.37 Jennifer Seibel Trainor Amanda Godley, After Wyoming: Labor Practices in Two University Writing Programs, College Composition and Communication, 1998. 0.37 Linda R. Robertson Sharon Crowley Frank Lentricchia, The Wyoming Conference Resolution Opposing Unfair Salaries and Working Conditions for Post-Secondary Teachers of Writing, College English, 1987. 0.36 Anne Cassebaum, A Comment on "The Wyoming Conference Resolution Opposing Unfair Salaries and Working Conditions for Post-Secondary Teachers of Writing", College English, 1989. 0.36 M. Elizabeth Wallace, The Richness of Language and the Poverty of Part-Timers: Impact and Invisibility, College English, 1984. 0.35 Francis J. Sullivan Susan Wells, On Constructing Enduring Works: Contingency and Absolutism in the Discourse of Student Needs, College Composition and Communication, 2000. 0.34 , A Progress Report from the CCCC Committee on Professional Standards, College Composition and Communication, 1991. 0.34 Nancy Morrow, Writing Program Decision Making: Student Need and Resource Allocation, College Composition and Communication, 2000. 0.33 Michael A. Faia, Will Unions Make Us Less Professional?, College English, 1976. 0.33 CCCC Committee on Professional Standards for Quality Education, CCCC Initiatives on the Wyoming Conference Resolution: A Draft Report, College Composition and Communication, 1989. 0.32 Edward P.J. Corbett, The Shame of the Current Standards for Promotion and Tenure, Journal of Advanced Composition, 1992. 0.32 Linda R. Robertson James F. Slevin, The Status of Composition Faculty: Resolving Reforms, Rhetoric Review, 1987. 0.32 Frank Madden, Crossing Borders: The Two-Year College, College English, 1999. 0.31 Robert Merrill Thomas J. Farrell Eileen E. Schell Valerie Balester Chris M. Anson Greta Gaard, Symposium on the 1991 "Progress Report from the CCCC Committee on Professional Standards", College Composition and Communication, 1992. 0.31 Terry Caesar Jeffrey Williams John Ramage, Three Comments on "Slouching toward Scholardom", College English, 1997. 0.30 Robert Samuels, Employing Theory to Change Higher Education, JAC, 2002. 0.30 Susan Wyche-Smith Shirley K Rose, One Hundred Ways to Make the Wyoming Resolution a Reality: A Guide to Personal and Political Action, College Composition and Communication, 1990. 0.30 M. Elizabeth Wallace, A One-Time Part-Timer's Response to the CCCC Statement of Professional Standards, College Composition and Communication, 1991. 0.30 Richard E. Miller, Our Future Donors, College English, 2004. 0.30 Joseph Harris, Behind Blue Eyes: A Response to Marc Bousquet, JAC, 2002. 0.30 Lynn Z. Bloom, Lynn Z Bloom Responds, College English, 1993. 0.29 Kristen Kennedy, The Fourth Generation, College Composition and Communication, 2008. 0.29 CCCC Committee on Computers and Composition, Promotion and Tenure Guidelines for Work with Technology, College Composition and Communication, 1999. 0.29 Gail Stygall, At the Century's End: The Job Market in Rhetoric and Composition, Rhetoric Review, 2000. 0.28 Barbara E. Walvoord, The Future of WAC, College English, 1996. 0.28 M. Elizabeth Wallace, Work with Us James Sledd: A Response, Journal of Advanced Composition, 1992. 0.28 Bill Hendricks, Teaching Work: Academic Labor and Social Class, JAC, 2005. 0.28 Margaret Baker Graham Elizabeth Birmingham Mark Zachry, A New Way of Doing Business: Articulating the Economics of Composition, JAC, 1999. 0.27 Eileen E. Schell, Putting Our Affective House in Order: Toward Solidarity Rather than Shame in Departments of English, JAC, 2006. 0.27 Louise Z. Smith, Louise Z Smith Responds, College English, 1989. 0.27 Bruce Horner, Class Class Consciousness and "Good Teaching Jobs": A Response to Bill Hendricks, JAC, 2006. 0.26 George Nash, Who's Minding Freshman English at U T Austin?, College English, 1976. 0.26 Joseph Harris, Meet the New Boss Same as the Old Boss: Class Consciousness in Composition, College Composition and Communication, 2000. 0.26 Irina Hertzberg, A Comment on "The Graying of Professor Erma Bombeck", College English, 2000. 0.26 M. Cathleen Raymond, A Comment on the Wyoming Conference Resolution, College English, 1990. 0.26 Peggy O'Neill, Upacking Assumptions Providing Context: A Response to Marc Bousquet, JAC, 2002. 0.26 M. Elizabeth Wallace, M Elizabeth Wallace Responds, College English, 1985. 0.26 Anonymous/Joy Klein, Pledge-a-Brick: A Farewell to Adjunct Teaching, Rhetoric Review, 2003. 0.25 Eric J. Ziolkowski, Slouching toward Scholardom: The Endangered American College, College English, 1996. 0.25 Merike Tamm, Ph D's Unemployment and Continuing Education: To Mark Curran, College English, 1974. 0.25 Marc Bousquet, The Rhetoric of "Job Market" and the Reality of the Academic Labor System, College English, 2003. 0.25 Joseph Harris, Beyond Critique: A Response to James Sledd, College Composition and Communication, 2001. 0.25 J. Brooks Bouson, True Confessions: Uncovering the Hidden Culture of Shame in English Studies, JAC, 2005. 0.25 Fred Kroeger, The Effect of a Negotiated Contract on the Relations of the Faculty to the Administrator, College Composition and Communication, 1967. 0.25 William R. Brown, Eight O'clock Scholar, College Composition and Communication, 1975. 0.25 Mark Curran, Response to Merike Tamm, College English, 1974. 0.24 Kenneth A. Bruffee, Academic Castes Academic Authority and the Educational Centrality of Writing, College Composition and Communication, 1996. 0.24 Roxanne Mountford, From Labor to Middle Management: Graduate Students in Writing Program Administration, Rhetoric Review, 2002. 0.24 Richard L. Larson, A Comment on "The Second Stage in Writing across the Curriculum", College English, 1992. 0.24 James F. Slevin, Leading the Way, Rhetoric Review, 1994. 0.23 John Alberti, Returning to Class: Creating Opportunities for Multicultural Reform at Majority Second-Tier Schools, College English, 2001. 0.23 Virginia Allen, A Comment on "Teaching College English as a Woman", College English, 1993. 0.23 Susan Gubar, The Graying of Professor Erma Bombeck, College English, 1999. 0.23 M. Elizabeth Wallace Marlene M. Herzing Reynaldo Alan Soldofsky George Staley, Comments on "Memoirs and Confessions of a Part-Time Lecturer", College English, 1982. 0.23 Mary Anne Ferguson, Response to Mr Gleason, College English, 1971. 0.23 Keith Hjortshoj, The Marginality of the Left-Hand Castes (A Parable for Writing Teachers), College Composition and Communication, 1995. 0.23 Susan H. McLeod, Writing across the Curriculum: The Second Stage and beyond, College Composition and Communication, 1989. 0.22 Laura R. Micciche, More Than a Feeling: Disappointment and WPA Work, College English, 2002. 0.22 Chris Gallagher, We Compositionists: Toward Engaged Professionalism, JAC, 2005. 0.22 Christopher Carter, Marketing Excellence in Higher Education, JAC, 2005. 0.22 Richard E. Miller, Richard E Miller Responds, College English, 1997. 0.22 James F. Slevin, Engaging Intellectual Work: The Faculty's Role in Assessment, College English, 2001. 0.21 Cara Chell, Cara Chell Responds, College English, 1982. 0.21 Amanda Godley Jennifer Trainor, Discourses of Reform in Composition: Student Need and Labor Conditions as Useful Knowledge, College Composition and Communication, 2000. 0.21 Ruth Bleier, Women and the Wisconsin Experience, College English, 1972. 0.21 Gary A. Olson Joseph M. Moxley, Directing Freshman Composition: The Limits of Authority, College Composition and Communication, 1989. 0.21 Bruce Horner, Redefining Work and Value for Writing Program Administration, JAC, 2007. 0.21 Jeanie C. Crain, A Response to Anne Cassebaum's "A Comment on 'The Wyoming Resolution Opposing Unfair Salaries and Working Conditions for Post-Secondary Teachers of Writing' " (CE October 1989), College English, 1990. 0.21 Michael M. Zimecki, Watering down the Teaching Doctorate: A Reply to Harold H Kolb Jr, College English, 1979. 0.21 Jeffrey Williams, Brave New University, College English, 1999. 0.20 Mary Kupiec Cayton, Writing as Outsiders: Academic Discourse and Marginalized Faculty, College English, 1991. 0.20 Anon, MLAise in March, Rhetoric Review, 1990. 0.20 George Gleason, The Job Market for Women: A Department Chairman's View, College English, 1971. 0.20 Marc Bousquet, Composition as Management Science: Toward a University without a WPA, JAC, 2002. 0.20 Dean Baldwin, A Comment on "Scholarship as Rhetoric of Display", College English, 1992. 0.20 Rebecca M. Howard David Hess Margaret F. Darby, A Comment on "Only One of the Voices" and "Why English Departments Should 'House' Writing across the Curriculum", College English, 1989. 0.20 William S. Robinson, The CCCC Statement of Principles and Standards: A (Partly) Dissenting View, College Composition and Communication, 1991. 0.20 Charles A. Fenton, Publish or Perish Revisited: A Forecast for the 1960s, College English, 1960. 0.20 Clyde Moneyhun, Still Dressed up but OTJ: Beyond the Quest for Perfection in the Rhet/Comp Industry, College Composition and Communication, 1998. 0.20 Susan McLeod Elaine Maimon, Clearing the Air: WAC Myths and Realities, College English, 2000. 0.19 Sue Ellen Holbrook, Women's Work: The Feminizing of Composition, Rhetoric Review, 1991. 0.19 H. O. Brogan, Academic Preferment in English in a State University, College English, 1965. 0.19 Reed Way Dasenbrock, A Comment on "Brave New University" and "Who Killed Shakespeare? ", College English, 2000. 0.19 Alison Hopwood, Twelfthmonth or What You Get, College English, 1969. 0.19 Thomas Miller, What Should College English Be Doing?, College English, 2006. 0.19 Jeffrey R. Di Leo, Shame in Academe: On the Politics of Emotion in Academic Culture, JAC, 2006. 0.19 Thomas A. Discenna, In Defense of Grids: Academic Labor and Academic Freedom in the Moment of Complexity, JAC, 2004. 0.19 Florence Howe, A Report on Women and the Profession, College English, 1971. 0.19 SM, Tales from the Field, Rhetoric Review, 1990. 0.19 Margaret K. Willard-Traub, Professionalization and the Politics of Subjectivity, Rhetoric Review, 2002. 0.18 Kristine Hansen, Serving up Writing in a New Form, College Composition and Communication, 1998. 0.18 William K. Buckley David Healy Nina D. Ziv, Three Comments on "The Richness of Language and the Poverty of Part-Timers", College English, 1985. 0.18 Brian Huot, Consistently Inconsistent: Business and the Spellings Commission Report on Higher Education, College English, 2007. 0.18 Joseph Harris, Déjà Vu All over Again, College Composition and Communication, 2006. 0.18 Karen Fitts William B. Lalicker, Invisible Hands: A Manifesto to Resolve Institutional and Curricular Hierarchy in English Studies, College English, 2004. 0.18 Tom Fox, Change and Complicity, College Composition and Communication, 1998. 0.18 James Sledd, Why the Wyoming Resolution Had to Be Emasculated: A History and a Quixotism, Journal of Advanced Composition, 1991. 0.18 Gary A. Olson Julie Drew, (Re) Reenvisioning the Dissertation in English Studies, College English, 1998. 0.18 Nick Tingle, We Can't Work It Out: The Alienated Labor of the WPA and the WI, JAC, 2007. 0.18 The NCTE Committee on Selection, Professional Career of the College English Teacher, College English, 1962. 0.17 English Council of the California State University System, Principles regarding the Teaching of College Writing, College Composition and Communication, 1991. 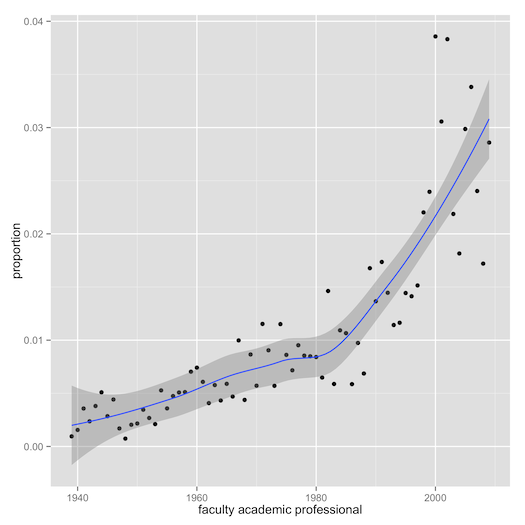 0.17 Marc Bousquet, A Discipline Where Only Management Gets Tenure?, JAC, 2002. 0.17 David Laurence, The Evidence Is Not There, College Composition and Communication, 2005. 0.17 Susan H. McLeod, "Breaking Our Bonds and Reaffirming Our Connections" Twenty Years Later, College Composition and Communication, 2006. 0.17 Eric J. Ziolkowski, Eric J Ziolkowski Responds, College English, 1997. 0.17 Edward M. White, The Opening of the Modern Era of Writing Assessment: A Narrative, College English, 2001. 0.17 Kenneth Hoag, Teaching College English: Five Dialogues: V Promotions, College English, 1959. 0.17 Evan Watkins, Class Shifts, JAC, 2006. 0.17 David W. Chapman Joyce Magnotto Barbara Stout, Responses to Elisabeth McPherson "Remembering Regretting and Rejoicing: The Twenty-Fifth Anniversary of the Two-Year College Regionals", College Composition and Communication, 1991. 0.17 Steve Parks Eli Goldblatt, Writing beyond the Curriculum: Fostering New Collaborations in Literacy, College English, 2000. 0.17 Richard A. Cherwitz Sharan L. Daniel, Rhetoric as Professional Development and Vice Versa, JAC, 2002. 0.17 Randall Popken, Edwin Hopkins and the Costly Labor of Composition Teaching, College Composition and Communication, 2004. 0.17 Ejner J. Jensen, Long-Range Thinking: A Departmental Experiment in Self-Study, College English, 1977. 0.16 James Sledd, On Buying in and Selling out: A Note for Bosses Old and New, College Composition and Communication, 2001. 0.16 John H. Timmerman, John H Timmerman Responds, College English, 1989. 0.16 Jeffrey J. Williams, Feeling Academic, JAC, 2006. 0.16 David R. Russell, Writing across the Curriculum in Historical Perspective: Toward a Social Interpretation, College English, 1990. 0.16 John C. Lovas, All Good Writing Develops at the Edge of Risk, College Composition and Communication, 2002. 0.16 Edmond L. Volpe, The Confessions of a Fallen Man: Ascent to the D A, College English, 1972. 0.16 Elizabeth Wooten, Graduate Departments and Community College English Teachers, College English, 1974. 0.16 Jerold J. Savory, On Beyond Tugging: A Comment on I Hashimoto's "Taxonomy of Scholarly Publication", College English, 1984. 0.16 Raúl Sánchez, No Time for Panic, College Composition and Communication, 1998. 0.16 Jeanie C. Crain, A Comment on "The Wyoming Conference Resolution: Opposing Unfair Salaries and Working Conditions for Post-Secondary Teachers of Writing", College English, 1988. 0.16 Francis J. Sullivan Arabella Lyon Dennis Lebofsky Susan Wells Eli Goldblatt, The Reform of Service the Service of Reform, College Composition and Communication, 1998. 0.16 Dennis Szilak, Teachers of Composition: A Re-Niggering, College English, 1977. 0.16 Michael F. Shugrue, Teacher Preparation and the College Department, College English, 1969. 0.16 John S. Mayher Nancy B. Lester, A Comment on "Pedagogy of the Distressed", College English, 1991. 0.16 Christopher Carter, History as the Path of Invention: A Response to Jeffrey Williams, JAC, 2006. 0.16 Floyd L. Bergman James T. Hayes, Responses to Lionel D Wyld "The Use of 'Mr' ", College Composition and Communication, 1967. 0.16 Lynn Z. Bloom, Lynn Z Bloom Responds, College English, 1997. 0.16 James Sledd, The Nasty Old Man Replies, Journal of Advanced Composition, 1992. 0.15 Daniel Mahala Jody Swilky, Constructing Disciplinary Space: The Borders Boundaries and Zones of English, JAC, 2003. 0.15 Richard Lloyd-Jones, Who We Were Who We Should Become, College Composition and Communication, 1992. 0.15 , A Note from The Editor, JAC, 1996. 0.15 Susan Gubar, Susan Gubar Responds, College English, 2000. 0.15 Marc Bousquet, White-Collar Proletariat: The Case of Becky Meadows, JAC, 2007. 0.15 Catherine Chaput, Academic Freedom Professional Transparency and Intellectualism in the Era of Globalization, JAC, 2006. 0.15 Warner G. Rice, Before the Ax Falls: A Rejoinder, College English, 1960. 0.15 Maxine Hairston, Breaking Our Bonds and Reaffirming Our Connections, College Composition and Communication, 1985.